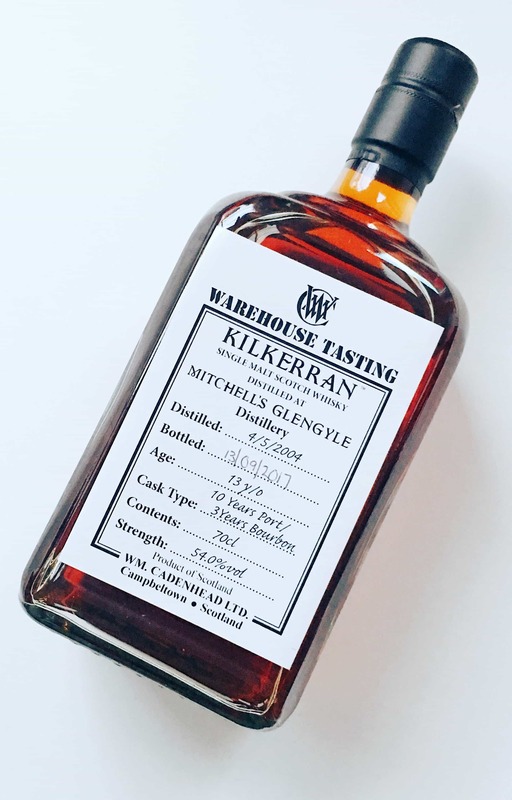 Regular readers of the site will know that I am a big admirer of Kilkerran whiskies, produced by Glengyle distillery in Campbeltown. 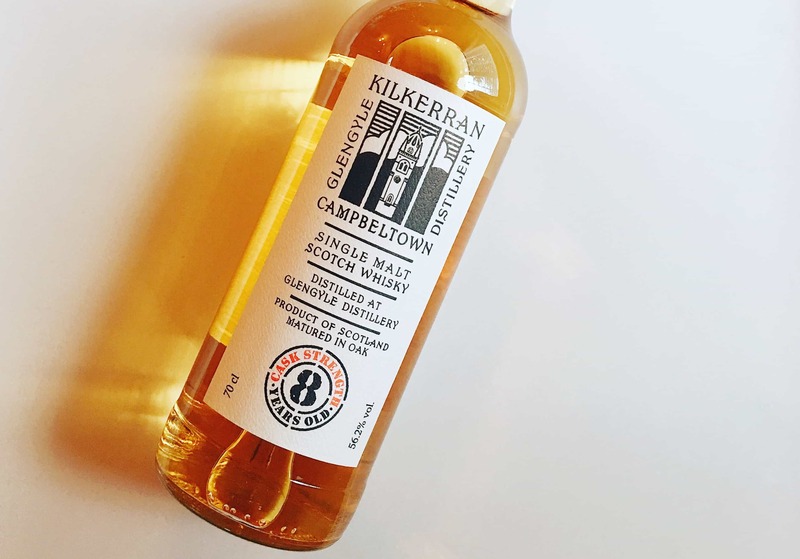 Though it’s whiskies are reasonably uncommon and new – the official 12 Year Old was only released late last year – it feels like it’s been around for a good while. Until that release, it has been teasing whisky fans with it’s rather good Work in Progress series. There has been no marketing behind these whiskies – their reputation has spread simply because the quality is exceptional. (And just about every one of the whiskies I’ve tasted has been exceptional, and the spirit copes very well in different cask types, be it sherry, bourbon or rum.) All the efforts have gone into making something good, rather than spinning a yarn or having a fancy bottle design or flying people out to a product launch so that people say nice things about them. And much of that good effort is down to the fact that it has been overseen by Frank McHardy, the man so influential in making Springbank one of the world’s leading distilleries. With this, I come to the new Kilkerran Cask Strength 8 Years Old. It has been matured exclusively in bourbon casks, bottled at 56.2% ABV and cost around £45. On the nose: the balance between the sweet vanilla from the American oak and the inherent, malty, peaty, dirtiness of the spirit. Plenty of citrus notes, and marmalade. Golden syrup. That peat becomes slightly diesel-like (in a good way) with cinnamon and cloves. Black tea, earthy. Strawberry jam tarts. In the mouth: this is where the whisky comes alive. It follows the nose perfectly: yes, vanilla; yes, peat; but that barley-driven maltiness seems to bring the two sides together. Under that is some cream, with peaches, lime juice and mango, but this really starts to hang about in that zone between the maltiness and the peat quite a lot. I’ll admit, not the best Kilkerran – but it is still very good indeed. I think part of the issue is that I come to anything Kilkerran releases and expect whatever it is to be the world’s best whisky, which this isn’t. It’s actually just really good fun, and still a class above many other releases this year. Full of character, complexity and vitality. 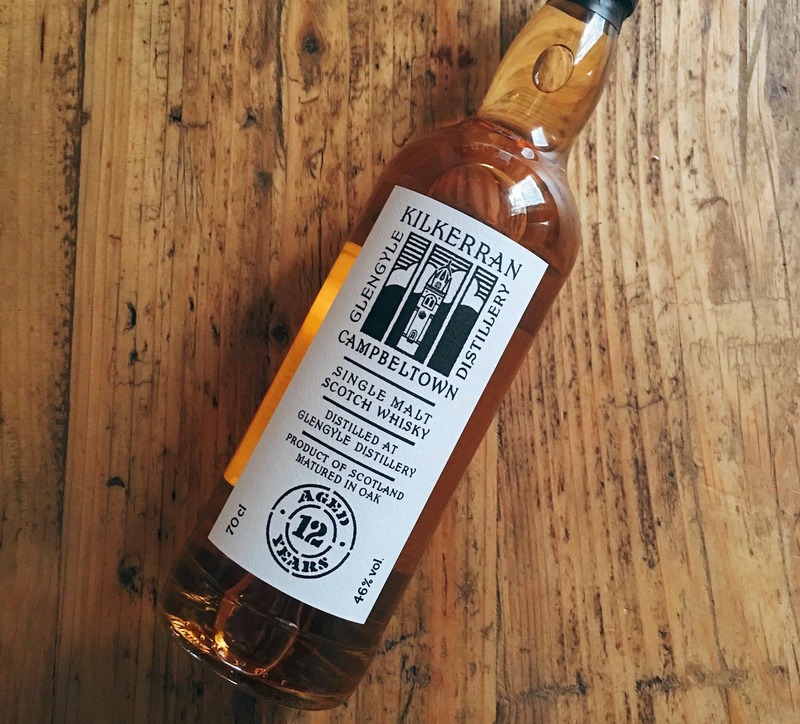 I think if you’re still to try Kilkerran’s whiskies, then the Kilkerran 12 Year Old remains for me the best starting point. Have to agree. A bit too much gasoline for me – probably would play better after a couple more years as a 10. Interesting counterpoint to what I was advised by the experienced manager of a whisky store with the largest selection in town. 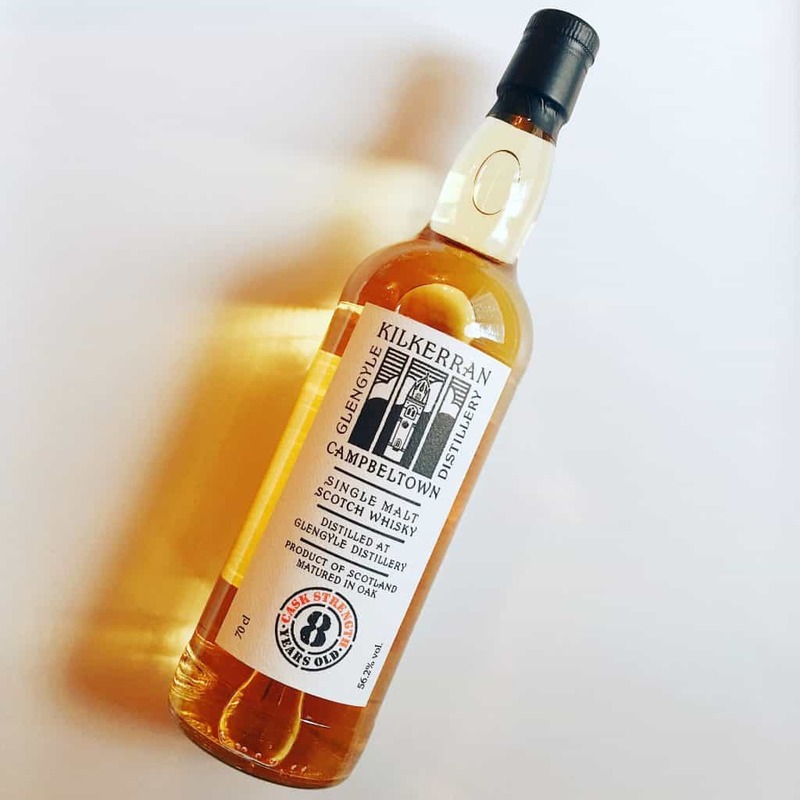 Looking at two Kilkerrans, the cask strength reviewed here and the 12 year old, the fellow gave the edge to the cask strength. So I bought the 8 year old. It was also the last bottle and I figured it was my only chance to taste it and there would always be an opportunity to try the regular 12 year expression. Haven’t tried it as yet but am looking forward to it. As I am enjoying the last quarter bottle of my 8, I have to say I like this much better than the 12 I had. It has had a few months to linger and oxidise in the bottle so that’s probably why. I didn’t have this opinion on the first few glasses – it certainly seemed very spirity, young and brash at that time. No anymore. I’m relishing every glass now. Although the 12 was good and I thoroughly enjoyed that too, the 8 just hits the spot for me (although still a little spirity on the nose). I believe I have batch 2, which is bottled at 55.7% abv. That said, Kilkerran – and Springbank for that matter – is a top whisky for me. Very tasty indeed.